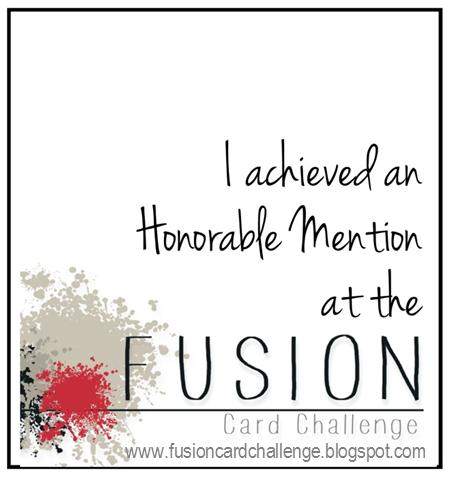 I always wanted to participate in the Fusion Card Challenge, but as I have little time to craft I'm always late! I made this card last night using the sketch and the colors and the items stuck on top of each other from the pic. This is really cute. I love how the background looks like confetti, and the stitching adds a nice touch. Great take on the challenge. The stacked presents add a fun element to the sketch. Terrific card! This is such a fun card! I love all the bright colors and the mix of patterns. Thanks for joining us this week at Fusion. Your card is totally beautiful! I really love the cheery and fun patterns and colours. Those little presents are so cute and I love how you staggered them and added faux stitching! Loly, this is really, really adorable! I love your take with the presents!! Loly, I thought I had commented on this already?!? Must have peeked when I didn't have time to stop. It's adorable though...bright and cheery...and perfect for that sketch! Ooooo...you rocked this! I totally see the sketch and inspiration picture. Your card is fabulous! Now how cute is this?! love it! So glad that you played along with us at Fusion! Love your stacked gifts Loly! Such a pretty card...I love how the presents look 3D! 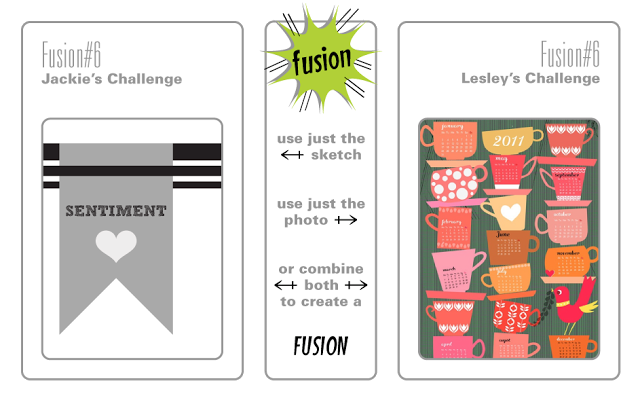 A really well-done fusion of the sketch and photo, so glad you got it in time for the FUSION challenge! Great idea to stack the presents instead of the tea cups!